The team of highly skilled and experienced technicians/mechanics at Harpenden Mill Autocare are on hand to serve the local Harpenden and St Albans area. 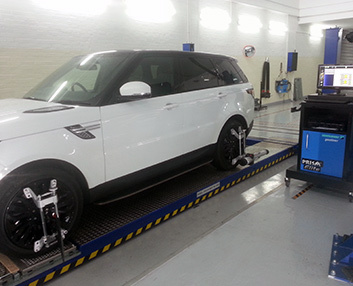 We provide four wheel alignment and tracking using the very latest technology. This allows us to offer you optimum performance from your vehicle. We can offer tyre repairs or a full tyre replacement service, offering a wide range of tyres at competitive rates. Our team will be happy to advise you, and none of the work carried out will affect your warranty - Harpenden Mill Autocare guarantee quality service at competitive rates.